There are different types of mushrooms that existed all over the world. Most of these mushrooms are truly useful for a lot of individuals because it can be added as an ingredient in any dishes, and most importantly it is a healthy organic food that fights certain illnesses and other health conditions. One of these mushrooms that offer a high level of protection is the Agaricus blazei. Agaricus subrufescens is the real scientific name of mushroom usually known as Agaricus blazei (Hime-Matsutake). This species of mushroom is the latest discovery that attracts the attention of so many scientists around the globe. This Brazilian mushroom was artificially cultivated by Iwaide Fungology Institute. The founder was Dr. Inosuke Iwaide, a professor at Mie University and Tokyo University. After several trials and errors, this species of mushroom was successfully naturalized and was presented by Professors Keishiro Shimura and Hitoshi Ito at Mie University medical school. The Blazei mushroom started its humble beginnings in the year 1960. The species was the valued possession of a Brazilian coastal town known as Piedade. In that same year, a Japanese Scientist discovered and found out about the Agaricus Subrufescens mushroom. He then brought it to Japan for further and continuous studies. Ever since that discovery, the mushroom from being just a pure discovery became a healthy super food that is medicinal and nutritional. How does Agaricus Blazei work? Agaricus mushroom consist of chemicals that can help improve the body’s utilization of insulin. It then decreases the insulin resistance in people who are suffering from type 2 diabetes. The mushroom can be extracted through hot water or alcohol for better digestion. In some developing research, it suggests that Blazei extract is widely used in Japan to treat cancer illness. It can also strengthen the immune system; prevent tumor development and be an effective antioxidant supplement. The Agaricus Blazei is beginning to increase its popularity because of the many health benefits it provides. The mushroom species can be added to a diet, and it can serve as a healthy supplement. It has been proven effectively to fight common illnesses that may include diabetes, high-blood pressure, cholesterol and other immune system problems. Some research also show that this mushroom can effectively fight AIDS and HIV. Since, Agaricus Subrefescens stimulates the Immune System it helps individuals maintain a healthy lifestyle. What is unbelievable about Agaricus Blazei Murill is that it has the capability to stimulate various parts of the body’s immune system in a simultaneous manner. The viral activities in the body can be decelerated with the use of Agaricus Blazei. Scientists have studied that the use of ABM reduces the presence of viruses in mice. Since there are biological similarities between mice and humans, the mushroom specie can also post positive effects for humans. Common and foreign substances such as virus, pollen, dust, and drug easily enter the body. With the intake of ABM, all these antigens are eliminated. 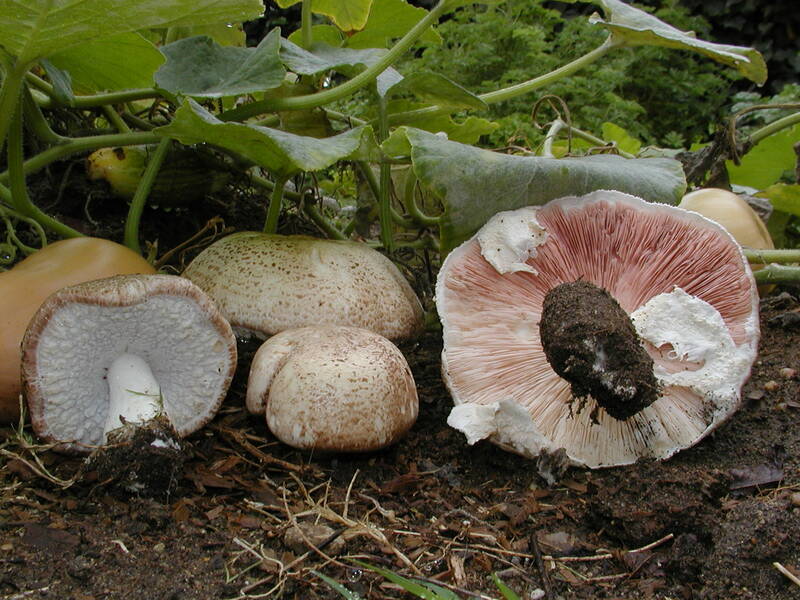 The best benefit of Agaricus blazei is that it is an effective Cancer treatment. The mushroom extracts are usually utilized during chemotherapy of cancer patients. In some reports, there are cases of cancer patients with improved conditions after applying the blazei mushroom. This works by eliminating the chemicals developed from the breakdown and digestion of foods in the intestines. These chemicals should be removed because it may cause brain damage and other brain issues such as anxiety, depression and forgetfulness. Japanese researchers published a report that associated Agaricus blazei to severe liver dysfunction in several cancer patients. Another study also proved that the blazei extracts minimized liver tissue death and scar formation in rats. There is an evidence that Agaricus blazei is effective in strengthening one’s immune system; therefore, improving common diseases that usually occur within the body. It improves lung conditions like asthma. It lowers the cholesterol levels of the body. It allows appropriate blood flow that keeps the heart stronger. Other benefits include the reduction of physical and mental stress, prevents the occurrence of Osteoporosis and Peptic Ulcers, and heals circulatory and digestive illnesses. According to some reports, there are some people with cancer in Japan who underwent self medication on Agaricus Blazei developed liver damage. It has been reported that there were three cases of patients with progressive cancer who showed severe liver damage. Two of the patients died of sudden and severe hepatitis. It is strongly advisable not take the Agaricus blazei along with herbs or drugs that can bring potential risk to the liver. Doctors and scientists recommend limiting the intake to a maximum of 3 times a week, to make sure that it will not cause any damage to the liver of individuals ingesting the Agaricus subrufescens. There is no clear explanation what actually caused the problem. It could be that the Hime-matsutake product applied by the Japanese Cancer patients could be contaminated. It is not also sure if the liver problem is because of the amount of dose. 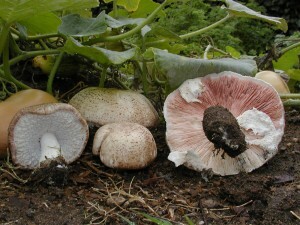 Agaricus subrufescens is oftentimes called “God’s mushroom” in some parts of Asia especially in Japan. It has been believed that individuals that eat or ingest the mushroom specie can promote a healthy immune system. There have been numerous studies on animals and human beings, but there are still potential and serious side effects associated with Agaricus blazei. This organic mushroom may be safe for many people, but it is always advisable to consult a doctor or physician before consuming this supplement. If you have a medical issue or history, ensure not to take any supplement unless you consult it with your doctor. It would be best to ensure one’s health first, or else you will just suffer the consequences in the end.